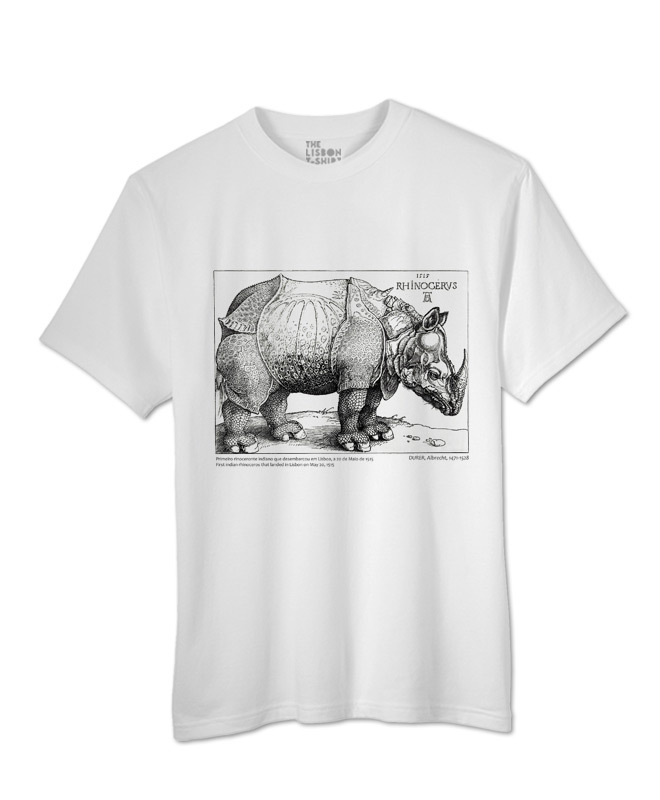 Cotton t-shirt, available in withe printed with the famous rhinoceros drawing by Albrecht Durer. 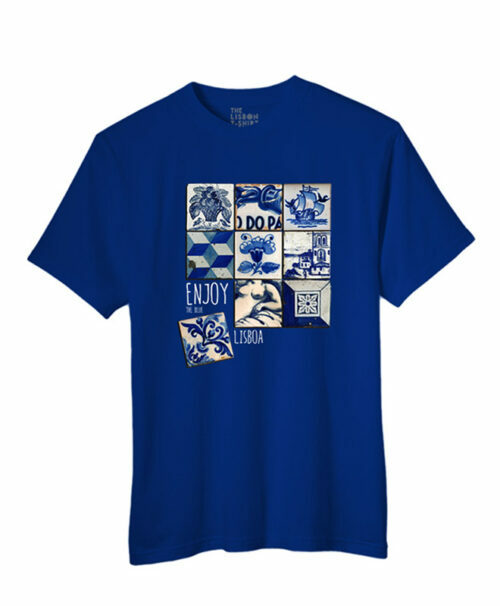 Rhinocerus T-shirt with the famous woodcut by Albrecht Durer. Rhinocerus was the first Indian rhinoceros to be seen in Europe. 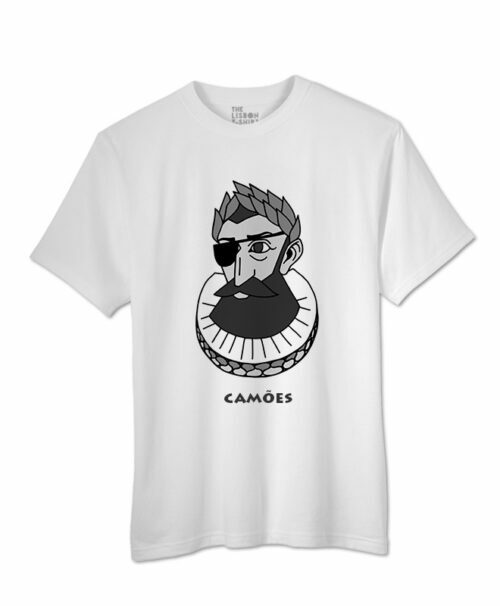 He landed in Lisbon in the year of 1515 sent by King D. Manuel of Portugal. Albrecht Durer drew this rhinoceros from oral descriptions. The original by Durer is at the British Museum in London. You can find some durer’s rhinoceros history at the Guardian, Met Museum or Royal Collection Trust. Get to know the Rhinocerus Collection that includes a t-shirt, a bag, a cork trivet and a cotton canvas.